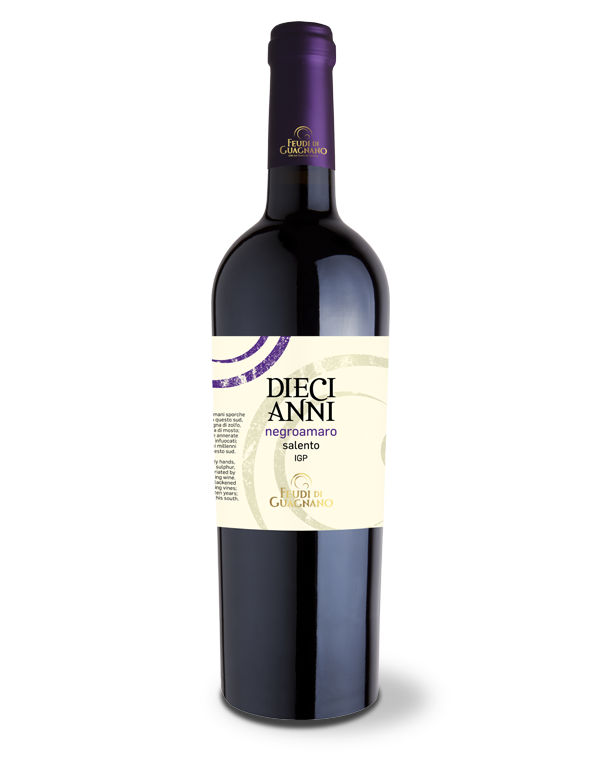 Diecianni Primitivo, a wine that at the debut is compact red with intense purplish shades. 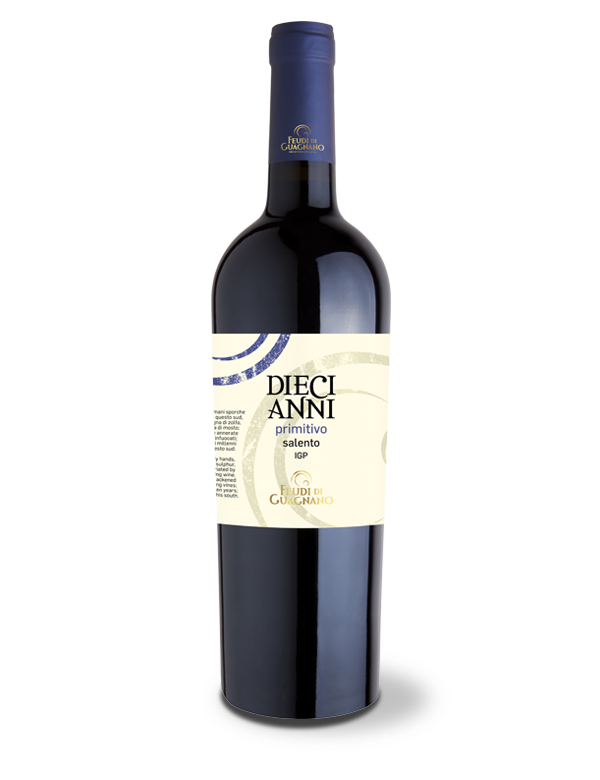 Ample and persistent on the nose, with an intense and elegant bouquet, in the mouth it releases hints of liquorice. The production area is North Salento. The harvest is done manually in the first decade of September. The grapes macerate and ferment for a week in steel tanks. Aging in French barriques for three months. Ready just on the market with an interesting evolution in the following five / six years.